The most important thing to remember is that we keep you informed while your car is in our care. Even under the best conditions, with a proper maintenance schedule and regular service to fluids and consumable items like brake pads, eventually something will go wrong and a part is going to break. In some cases parts can break due to continuous use, like an alternator, which is in use whenever the engine is running. In other cases parts break simply from age or climate conditions. A car battery will age must faster in the Florida heat, thus shortening its life. A common road hazard can cause parts to malfunction or break causing a needed repair. Whatever the case, repair is a necessary evil when owning a vehicle. While performing both routine maintenance and necessary repairs, we may have to remove parts to get to the broken parts. If we discover a weak or broken part during our repair process, you will be advised of the issue and given the option to replace those parts during the same service visit. Our ability to combine repairs results in a savings to our customers by reducing labor costs and down-time. Today’s engines are built for performance and efficiency. Many engines are smaller and produce more horsepower than ever before. As a result of their high output, these engines run hotter and require a higher quality of fluids (synthetics) to keep them at peak performance. A simple thing like a dirty air filter, wrong tire pressure or dirty fuel system will sacrifice fuel efficiency and performance. With today’s rising cost of fuel, and stop and go traffic, Tedesco Cars, Inc. encourages you to strictly follow your vehicle Manufacturer’s recommended maintenance intervals and schedules. 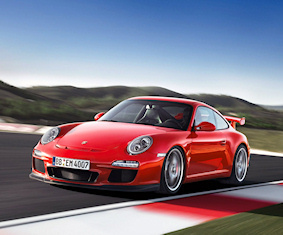 By doing so, you will lengthen the life of your vehicle and retain resale value. We pride ourselves in using original equipment parts. By using Original Equipment Manufacturer (O.E.M.) parts, we can assure a higher level of quality, value and fitment in your vehicle. 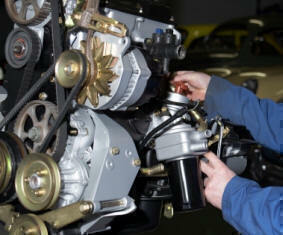 We also offer after-market parts based on the customer’s request, in the event of a back order, or excessive cost. All parts supplied and installed by Tedesco Cars are backed by a 12 month or 12,000 mile warranty unless otherwise specified by our service consultant. 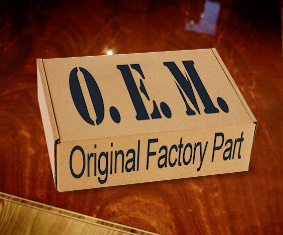 Dealer parts made by the Original Equipment Manufacturer (O.E.M.) perform just like the original part that came with your vehicle. COPYRIGHT © TEDESCO CARS - ALL RIGHTS RESERVED.